Our Adelaide St W weight loss clinic is one of our six locations in Toronto, Ontario, servicing local residents of downtown Toronto with top quality dieting plans. 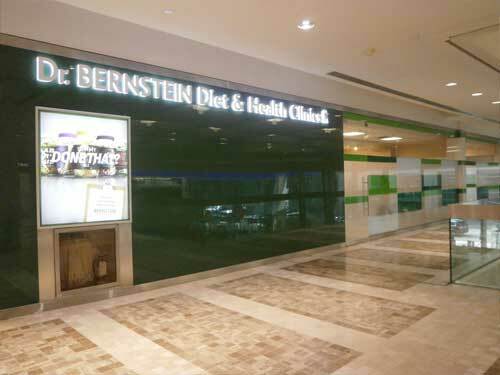 This diet center, located at 77 Adelaide St. W between Bay St and York St inside The First Canadian Place, on the second level above the Bank of Montreal (BMO) and at the east end of the Food Court, caters to customers looking for great weight loss programs in downtown Toronto. If you are looking to stop struggling and start succeeding in achieving your weight loss goals around the Toronto area, start with the medically supervised diet at the Bernstein Diet & Health Clinics location on Adelaide St W.
The medically trained, Bernstein Diet & Health Clinics staff at the First Canadian Place clinic in Downtown Toronto can help you lose weight quickly, safely and naturally. Call today to book an appointment or fill out a Contact Us form and we will reach out to you as soon as we can.